For those of you who have already purchased the Skyhorse/Arcade 2012 EBook, this is that same edition, only now made available in PRINT format. ARCADE PUBLISHING (An Imprint, of Skyhorse Pub. Since 2010) in mid-February, will publish this 2015 print edition of Black Dahlia Avenger: A Genius for Murder. The two updated chapters (Aftermath and New Investigation: Hard Evidence and Forensics) included in the July 2006 HarperCollins paper-back edition have been added here with some slight modifications and revisions. The main one being my location, identification, and elimination of Photo Number 2, “Maganda,” as not being Elizabeth Short. In addition, to what has been included in the new chapters, more evidence has surfaced and new witnesses have come forward. New discoveries have been found inside the pages of the Los Angeles District Attorney 1950 transcripts, and new documents from the UCLA archives have established and confirmed my belief that my father’s Sowden/Franklin House was the actual “Black Dahlia” murder location. 1. 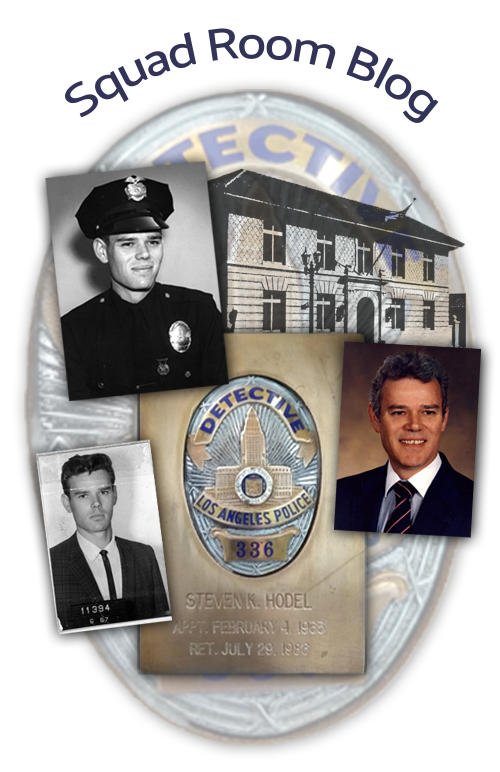 DA Files documenting that in 1950, Lt. Frank Jemison was actively investigating the possibility that bodies may have been buried in the basement of George Hodel’s residence as well as his reopening and reinterviewing of witnesses in the LAPD’s original 1945 investigation of George Hodel as the possible killer of his personal secretary, Ruth Spaulding. 2. Newly discovered DA file tape-recorded admissions by Dr. George Hodel confirming he performed abortions, “lots of them,” at his downtown First Street Clinic. For a full discussion on all of the above and additional investigative findings, I refer my readers to my website: www.stevehodel.com. 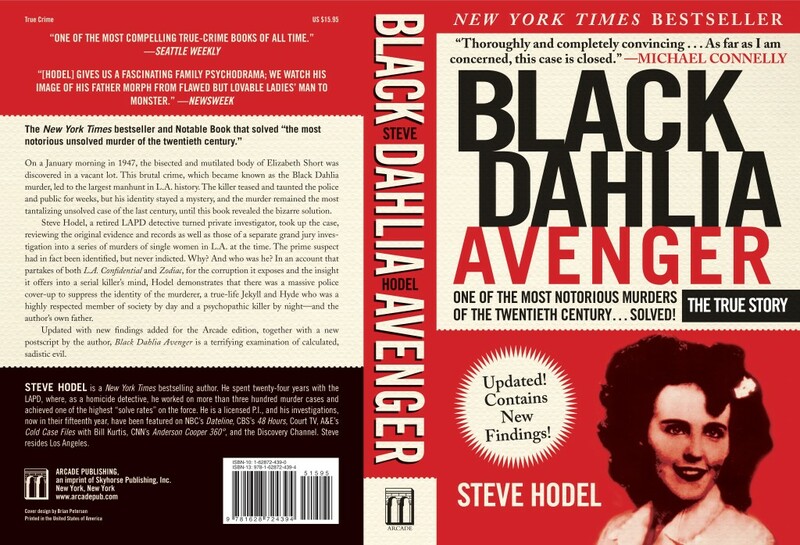 May 2014—A sequel to this book entitled, Black Dahlia Avenger II: Presenting the Follow-Up Investigation and Further Evidence Linking Dr. George Hill Hodel to Los Angeles’s Black Dahlia and other 1940s-LONE WOMAN MURDERS (Thoughtprint Press, Los Angeles 2014) has just been published. BDA II contains all of the above listed summaries and much more, including my entire follow-up investigation from 2006 to 2014. Congratulations on the new imprints! I look forward to ordering my updated copies of the Skyhorse Publishing: Black Dahlia Avenger—Arcade 2015 Paperback Edition and while I’m at it the 2014 version of BDAII. How absolutely fascinating this book has been. A very brave man indeed to delve into your own fathers past. Really looking forward to reading the next sequel. I have wondered for years why this case was never solved. Karen K: Thanks for the kind words. Much appreciated. Recommended reading order for books would be: Most Evil (Dutton 2009); BDA II (Thoughtprint Press 2014 ed. ); Most Evil II (Rare Bird Books 2015). Best Regards, Steve.